Please note that our shipping is processed Monday to Friday. 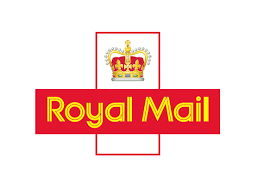 First Class – Standard Packaged Post (Royal Mail) – A standard first class service offered in the UK by Royal Mail, normally the next day from the date of shipping. Delivery is expected between 1 to 3 working days, however please allow up to 10 working days. Second Class Recorded – Recorded Post (Royal Mail) – A recorded second class service offered in the UK by Royal Mail, normally the next day from the date of shipping. Delivery is expected between 3 to 5 working days, however, please allow up to 10 working days. DPD Local - We use DPD Local for heavier orders. They work on a 24hr service after your dispatch email with a fully tracked service ( Next day if your order is placed Monday - Thursday before 1 pm). All orders are generally shipped within 2 working days. Please note however in times of high demand this may be longer. If you have an urgent need to receive your order sooner please use one of the express delivery options such as Next Day 1st Class. All other packages are generally sent in standard 1st class packet post with Royal Mail. Generally speaking, your order will arrive with you 1-2 working days after it has left our premises. We have found that most of our orders sent using standard delivery actually arrive next day within the mainland UK. Shipping is worked out at checkout by weight. With Royalmail we can send items up to 2kg. If your order is more than 2kg, DPD Local will be selected at checkout. If you leave an email address or a mobile number on the tracking services we can place this on the shipping note for you so that you receive an email or text to let you know when your order will arrive. If your order is not received within 10 days please get in contact and we will do our best to find out where it is. To report a parcel lost you can not start the claim until 15 working days have passed just in case the parcel arrives and a double order is sent to you. All orders are generally shipped within 24 hours of receiving payment. Please note however in times of high demand this may be longer. All packages are sent via Royal Mail or DPD Local post. We cannot be held responsible for Royal Mail & DPD Local delivery, or delivery times, as once we post your order, it is outside our control. We obtain proof of postage for every order, so, if you have any queries or have not received your order within a reasonable time please, contact us and we will be happy to provide a copy of the “proof of postage” and assist you to sort it out.